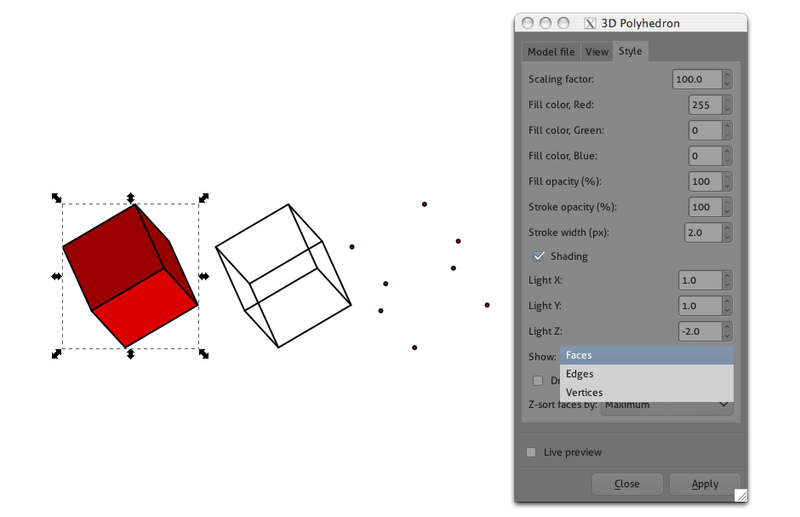 I am practicing with the 3D Polyhedron extension in the Spanish version of the program under Window 7 operating system. The Inkscape guide of Tavmjong Bah, says that it is posible to draw the polyhedrons only with their vertices or edges, but I can not find that options. ¿Is it really possible to draw the polyhedrons only with ther vertices or edges? Fix committed in the branch, revision 9787. Thanks for the report and the patch!